There has long been a consensus among Western pundits that the IRGC controls Iran’s economy. The truth is much messier. Particularly in the wake of the contested 2009 presidential elections in the Islamic Republic, a popular consensus has taken shape among Western government officials, policymakers, and scholars on the immense role the Islamic Revolutionary Guards Corps (IRGC) plays in the Iranian economy. Similarly, back in 2007, George W. Bush’s Treasury Secretary, Henry Paulson, stated: “The IRGC is so deeply entrenched in Iran's economy and commercial enterprises, it is increasingly likely that, if you are doing business with Iran, you are doing business with the IRGC.” Former U.S. Secretary of State Hillary Clinton concurred in a 2010 speech in Doha, when she expressed the Obama administration’s concern that the IRGC was “supplanting the government of Iran” and seizing control of large swaths of the country’s economic establishment. Today, this position significantly informs sanctions policy, as individuals, businesses, and organizations suspected of having ties to current or former IRGC members are quickly blacklisted by Washington and Brussels from international finance and trade networks. Late last year, the state-owned National Iranian Oil Company, a huge organization which dates back to 1948, was added to the sanctions list ostensibly because the new oil minister, Rostam Qasemi, had previously been in charge of the IRGC’s engineering and development contracting arm, Khatam Al-Anbia. The expansion of sanctions over the past two years seems to have followed the numerous organizational charts that frequently appear in Washington, DC think-tank reports, where hundreds of business and individuals are linked via dotted-line tentacles to the IRGC. Add to this a series of accusations by Iranian politicians and the Iranian press reporting over IRGC-linked firms acquiring state-owned assets through murky means, and the case seems closed. Yet, as I document in the most recent issue of the International Journal of Middle East Studies, anecdotes, accusations, and poorly sourced think-tank reports are not adequate for examining the vast shifts that have taken place in Iran’s economy under President Mahmoud Ahmadinejad. Instead of a military monolith dominating the economy, the Islamic Republic more resembles what I call a “subcontractor state,” whereby the government’s public assets have been decentralized and transferred to a wide variety of firms, pension funds, holding companies, and state-linked economic actors. Don’t take my word for it. 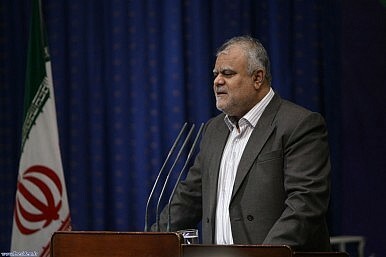 Conservative members of Iran’s political establishment such as MP Hamid Reza Fuladgar, Parliamentary Speaker Ali Larijani, and MP Ahmad Tavakoli have all complained that between U.S. $70 and U.S. $100 billion in shares from more than 300 companies have been transferred from the state to semi-public entities, not the private sector. Parliamentary reports further document that the IRGC is not the main beneficiary of this process. Rather, the recipients include large pension funds for Iran’s middle classes as well as Ahmadinejad’s program of “justice shares” for the country’s lower income deciles. These assertions carry weight because such individuals either have IRGC pedigrees or share the military organization’s worldview. Yet President Ahmadinejad’s conservative critics, many of whom also have strong ties to elements of the IRGC, are demanding full-fledged transfer of most state-owned enterprises to private hands, not military ones. My research details how, since 2006, Iran’s government has sold off huge blocks of public companies’ shares through the stock market, transfers to cooperative holding companies, or simply handing over ownership to semi-public bodies to which the government is indebted. A main recipient is the pension fund investment company of the Social Security Organization. This organization provides social insurance – health care, retirement, and disability insurance – to nearly half of Iran’s population. Like pension funds around the world, the SSO has rebalanced its asset pool into riskier financial investments in order to cover Iran’s aging population over the coming decades. The government is required by law to keep the SSO solvent, and the result has been a large handover of companies to the Islamic Republic’s largest social insurance fund – including petrochemical refineries, auto machinery manufacturers, cement producers, transportation firms, and pharmaceutical plants. The irony is that, even as Western news headlines scream about an IRGC takeover, the SSO and its investment funds have quietly become huge players in the Iranian stock market and economy. Furthermore, the main beneficiaries of this organization are not the military elite or the rural poor but rather the urban middle and formal working classes of Iran who are enrolled in these insurance programs through their occupations. Corruption in the news can easily be found, but this does not indicate that the IRGC, as an organization, is taking over anything. The creation of cooperatives, firms, and investment conglomerates affiliated with the IRGC and parastatal bodies do not signify a creeping militarization or “revolutionary” ideological subordination of Iran’s economy so much as they characterize the commodification of bureaucratic privilege and status held by individuals in these organizations. Even the IRGC’s large engineering arm likes to brag that it subcontracts out “sixty to seventy percent” of its projects to the “private sector.” This may be a bit exaggerated, but the claim itself is telling. The overall structure of Iran’s subcontractor system more closely reflects a proliferation of new networks of influence peddling via the breakup of the public sector than a transfer of infrastructural power and organizational capacity to the IRGC. This process is all too common among states where a pro-privatization discourse is coupled with a government bureaucracy that has overpowered its own technocrats. Think of the post-Soviet experience in Russia or Ukraine during the 1990s, for instance, where public-sector firm apparatchiks maintained the power to turn themselves into “entreptrachiks.” In Poland and Hungary, conversely, such individuals were not in command of privatization schemes, resulting in a far more transparent outcome. It is a form of capitalism, albeit one not found in most economics textbooks. Iran is not a command economy, however, and it does not a have a one-party state. As a result, privatization politics in the Islamic Republic involve a large number of actors and recipients, since these competing semi-public and state-linked organizations cater to a wide variety of social classes and societal groups. Yet Western policymakers should take note that, by subcontracting out its social and economic responsibilities, the Islamic Republic is not empowering one single state institution, whether in clerical or military regalia. On the contrary, the rise of Iran’s subcontractor state illustrates how the government has lost the capacity to direct its own policies, whether they are based on dreams of privatization or other, equally transformational, projects. Kevan Harris is a Postdoctoral Research Associate in the Department of Near Eastern Studies, Princeton University. From cyberstrikes, assassinations, and drone surveillance, Iran seems to copying Western tactics. Retaliation, not escalation, is Tehran’s goal.